After letting Eva sucked on green apples, taking self-mashed banana and papaya, we bought a Heinz puree for Eva to try on. And guess what? She loves it! 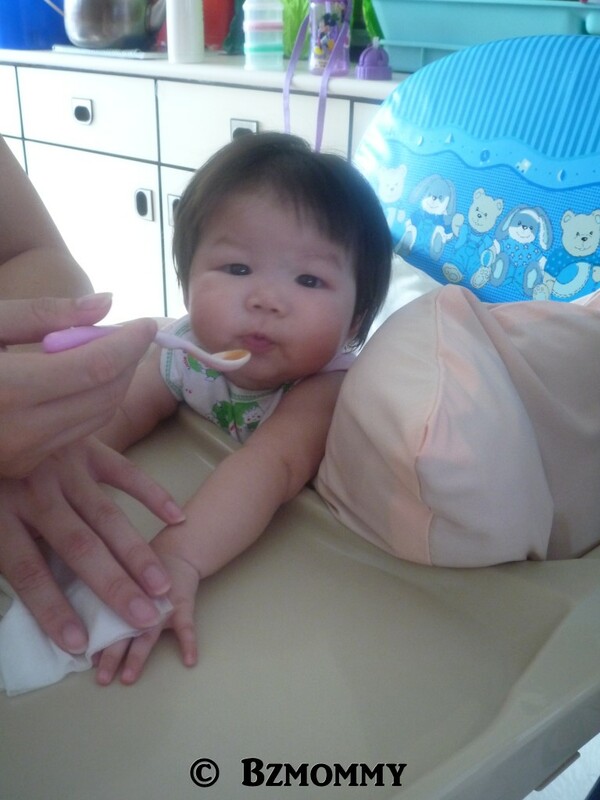 And since then, she has started on the Nestle rice cereal, and Heinz Pumpkin & Sweet Corn puree. She loves food! !